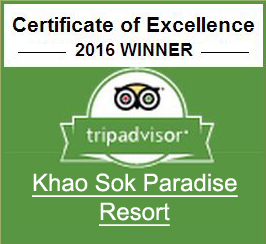 At the privately-owned Khao Sok Paradise Resort, you will be warmly welcomed by our friendly and professional staff. Discover the beauty of the Khao National Park with our Jungle & Tree Houses and our Khao Sok tours, such as jungle treks, canoeing, survival trips, and more. Make the journey of a lifetime to Khao Sok, and let us be a part of your unforgettable experience ! Enjoy the Khao Sok experience at its full potential with our All-Inclusive concept resort. Experience the magic of the jungle at night as well as during the day in our Tree Houses, Jungle Houses & Luxury Tents. 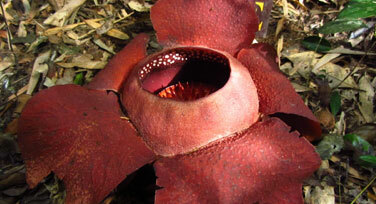 There is fun for all ages with our tours and activities in and around Khao Sok National Park. Traveling to the amazing Khao Sok National Park can be confusing for first timers. No worries, you will find below all the directions details. We can even come and pick you up ! We've stayed 3 nights at this great place. Whereas the tree houses are outstanding, as well the bamboo houses are perfectly fine. The delicious food and the charming owner made our stay perfect! My wife and I thoroughly enjoyed this beautiful resort. It was clean and the food was fresh and so tasty. The service was exceptional.